The International Monetary Fund has lowered South Africa's projected GDP growth rate for 2019 from 1.4% to 1.2%, putting the country among the worst performers in sub-Saharan Africa. The IMF published the latest edition of its World Economic Outlook on Tuesday. Projected GDP expansion for 2020 has also been lowered from 1.7% to 1.5%. This puts the IMF's growth projections slightly lower than what was recently published by the SA Reserve Bank. In late March, SARB Governor Lesetja Kganyago said the central bank expected SA's GDP growth for 2019 to average 1.3%, down from the bank's January projection of 1.7%. The bank's forecast for 2020 was 1.8%, down from 2.0%. At a growth rate of 1.2%, SA's economic expansion would still be above the 0.8% level at which the economy expanded in 2018. 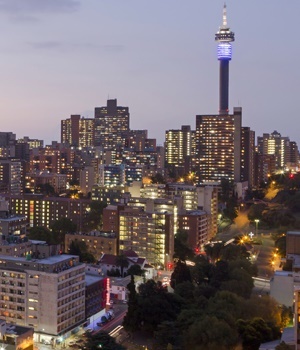 "The projected recovery reflects modestly reduced but continued policy uncertainty in the South African economy after the May 2019 elections," said the IMF. The fund projected that real GDP growth in sub-Saharan Africa would average 3.4% in 2019, meaning South Africa will be growing at less than half the average rate. Beyond 2020, the IMF estimates that SA's growth would stabilise at around 1.75%, as "structural bottlenecks continue to weigh on investment and productivity, and metal export prices are expected to remain subdued". A 1.2% GDP growth rate for 2019 is far below the 5% growth required in terms of the National Development Plan to reduce poverty and inequality by 2030.